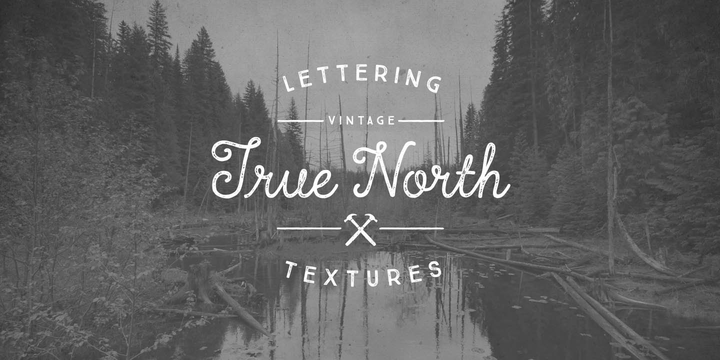 True North Textures is the newest version of True North, created by Cindy Kinash together with Charles Gibbons and published by Cultivated Mind. This vintage font comes in 18 styles, a monoline script, extras, banners, labels that you can mix and get useful things four your projects. A truly original design font! A font description published on Thursday, April 16th, 2015 in Charles Gibbons, Cindy Kinash, Cultivated Mind, Fonts by Alexandra that has 5,196 views.